Made a prototype adjustable radius sanding block. Had to figure out how to radius these fretboards. It worked well. Sanded the fretboards down to 120. I made a second block at the same time. A bit more low profile. I put 220 paper on there for use when everything is on the guitar. 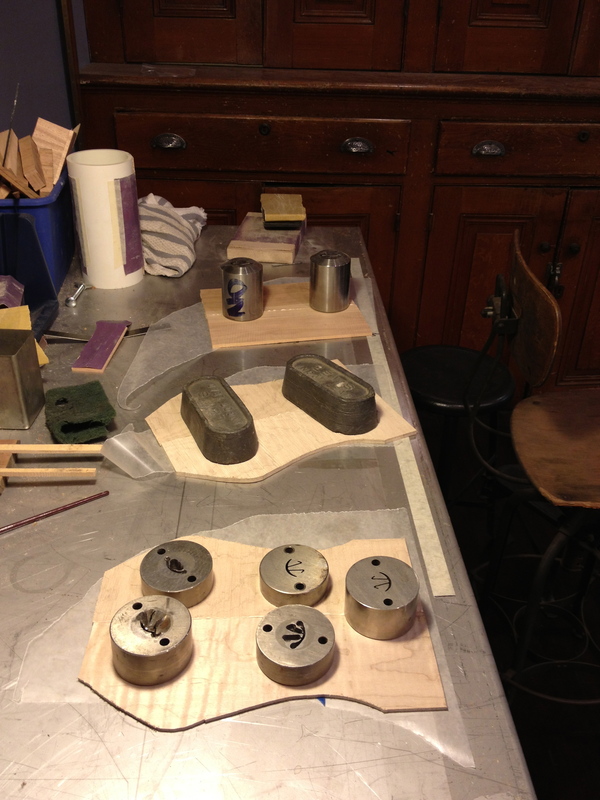 I have the headstocks thinned down and the veneers on all three. They are all in semi different stages of preliminary carving. The heel is the only thing that really needs to be pretty close at this point, just so the neck can be fit once more before the fretboard is attached. Final carving won’t get done until the fingerboards are on. I need to figure out what to do for the side markers. 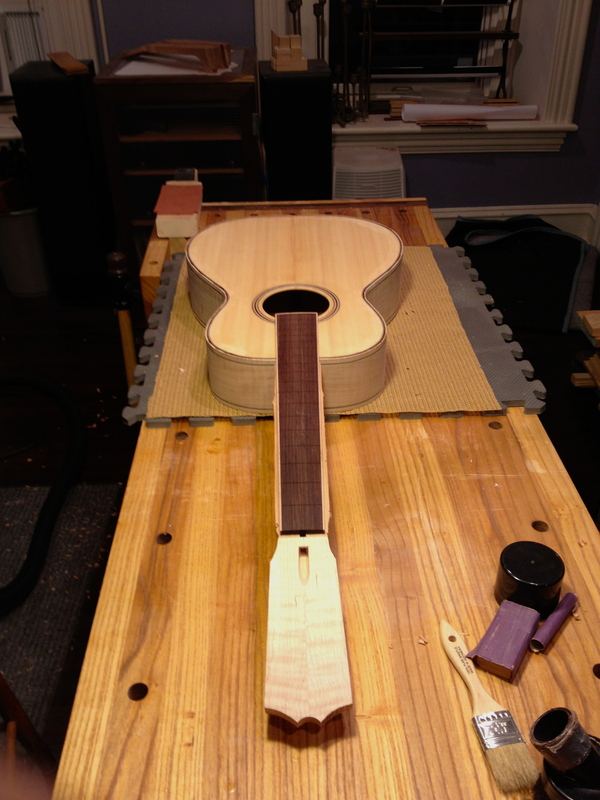 Once they’re done, a fretboard can go on at least one of the necks. The rest to follow shortly after. 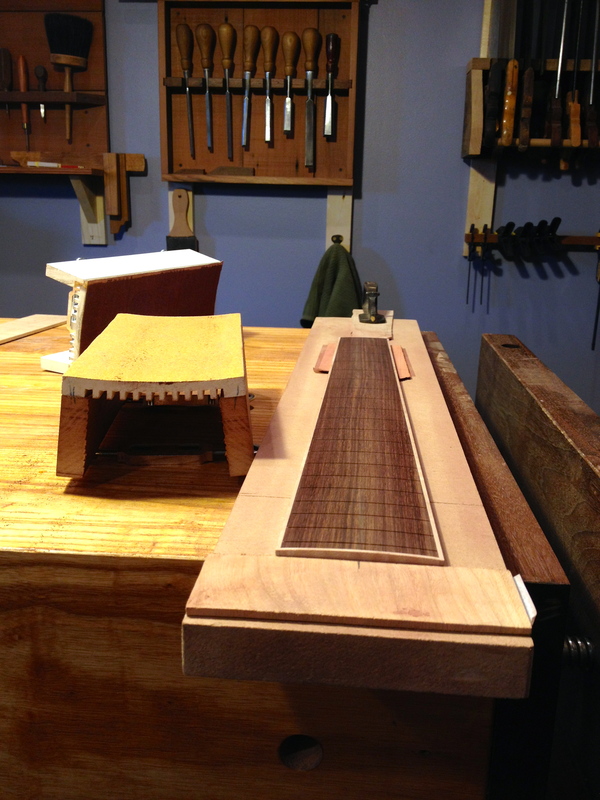 I just couldn’t resist laying one of the fingerboards on as I was checking the neck fit. Seeing that makes me excited. Also makes me thing of how much sanding i need to do, which always seems to wait till absolutely last minute. It also makes me think about the damn finishing work! After a few days of no real work in the shop, I was able to get a few things done over the past few days. 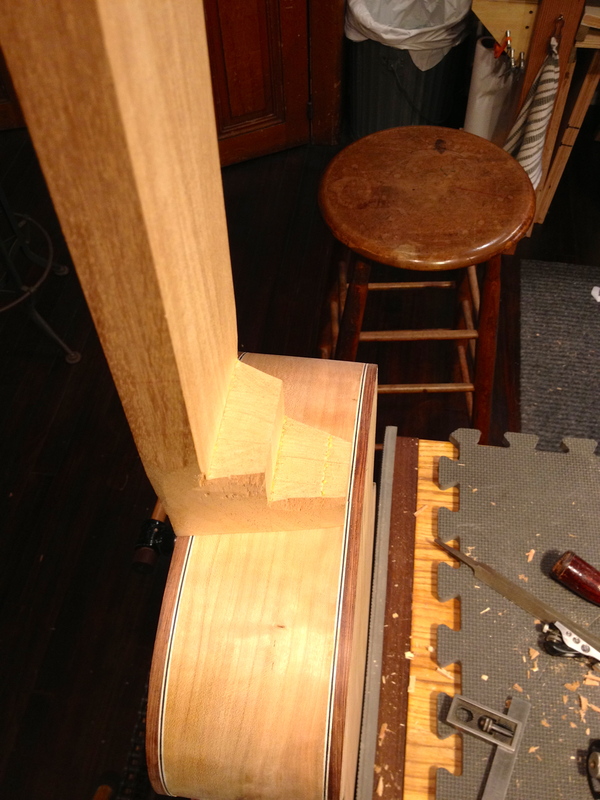 Fit up my third dovetail neck. Paid close attention and used some quick gauges to make sure the angles were consistent. Best of the three. These will be final fit once the heels are carved. 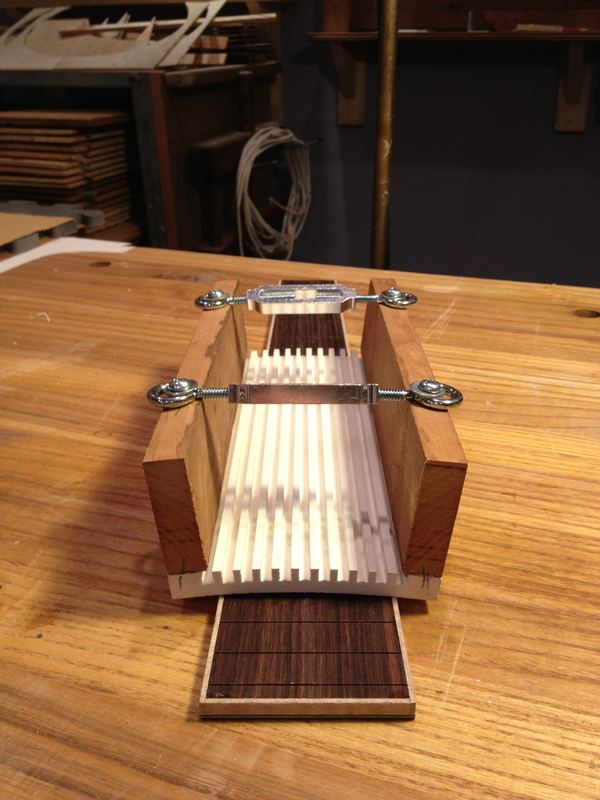 Routed the slots for the truss rods. Made use of my binding fixture with a temporary fence. Glued up some headstock veneer from scraps that came off the back material. 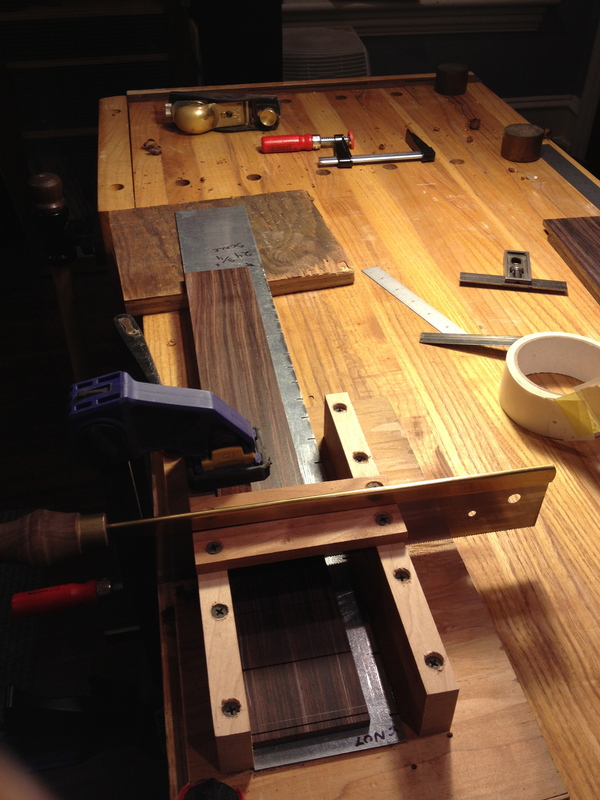 Trued up three rosewood fingerboards from the Martin wood stash. 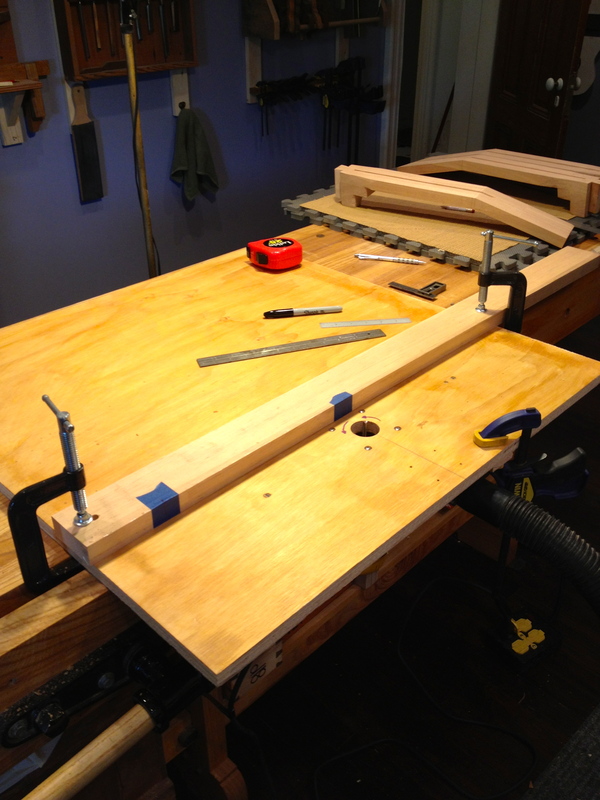 Made a new 24.75” scale template for my home made fret slotting fixture. Then proceeded to slot the boards. Next step is tapering, sanding to radius and binding on the fretboards. Then on to thicknessing the headstocks and laminating on front and back veneers. Ammonia fuming. Before and after. Bridges and fret boards all ready to fume. 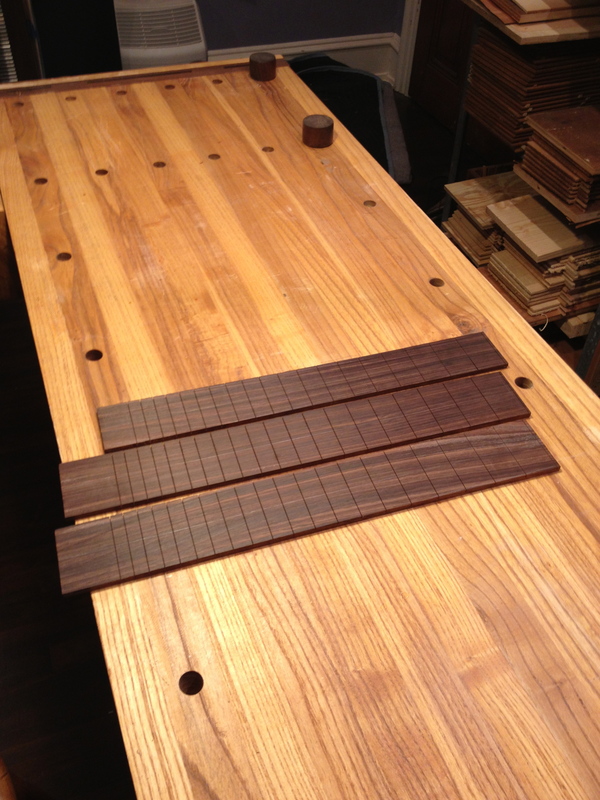 Planed down my locust fingerboards. Made a quick fixture to slot them. Used 14 gauge galvanize that I marked off and notched to locate in the fixture. Done with one. On to two. Will prep and sand these fully along with the bridges. Then fume them to darken before I attach. Guitar number 9 found a home! Couldn’t ask for a better one. My soul brother, @matt.mccallus, who I’ve been friends with since nursery school, visited this week and left with a prize! Had an amazing week as well!